In a report posted online today, Peter Scholze of the University of Bonn and Jakob Stix of Goethe University Frankfurt describe what Stix calls a “serious, unfixable gap” within a mammoth series of papers by Shinichi Mochizuki, a mathematician at Kyoto University who is renowned for his brilliance. Posted online in 2012, Mochizuki’s papers supposedly prove the abc conjecture, one of the most far-reaching problems in number theory. That has now changed. In their report, Scholze and Stix argue that a line of reasoning near the end of the proof of “Corollary 3.12” in Mochizuki’s third of four papers is fundamentally flawed. The corollary is central to Mochizuki’s proposed abc proof. Scholze and Stix’s conclusions are based not only on their own study of the papers but also on a weeklong visit they paid to Mochizuki and his colleague Yuichiro Hoshi in March at Kyoto University to discuss the proof. That visit helped enormously, Scholze said, in distilling his and Stix’s objections down to their essence. The pair “came to the conclusion that there is no proof,” they wrote in their report. In his rebuttal, Mochizuki attributes Scholze and Stix’s criticism to “certain fundamental misunderstandings” about his work. Their “negative position,” he wrote, “does not imply the existence of any flaws whatsoever” in his theory. Just as Mochizuki’s high reputation made mathematicians view his work as a serious attempt on the abc conjecture, Scholze and Stix’s stature guarantees that mathematicians will pay attention to what they have to say. Though only 30, Scholze has risen quickly to the top of his field. He was awarded the Fields Medal, mathematics’ highest honor, in August. Stix, meanwhile, is an expert in Mochizuki’s particular area of research, a field known as anabelian geometry. The abc conjecture, which Conrad has called “one of the outstanding conjectures in number theory,” starts with one of the simplest equations imaginable: a + b = c. The three numbers a, b and c are supposed to be positive integers, and they are not allowed to share any common prime factors — so, for example, we could consider the equation 8 + 9 = 17, or 5 + 16 = 21, but not 6 + 9 = 15, since 6, 9 and 15 are all divisible by 3. Given such an equation, we can look at all the primes that divide any of the three numbers — so, for instance, for the equation 5 + 16 = 21, our primes are 5, 2, 3 and 7. Multiplying these together produces 210, a much larger number than any of the numbers in the original equation. 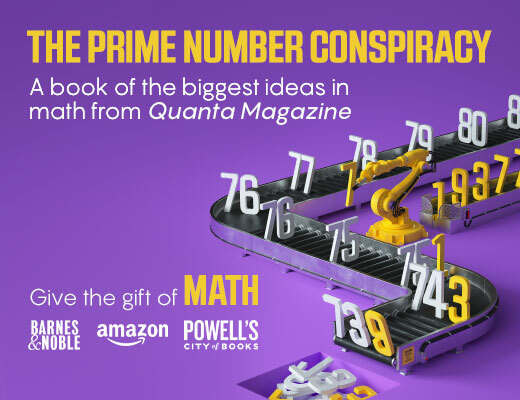 By contrast, for the equation 5 + 27 = 32, whose primes are 5, 3 and 2, the prime product is 30 — a smaller number than the 32 in the original equation. The product comes out so small because 27 and 32 have only small prime factors (3 and 2, respectively) that get repeated many times to make them. If you start playing around with other abc triples, you’ll find that this second scenario is extremely rare. 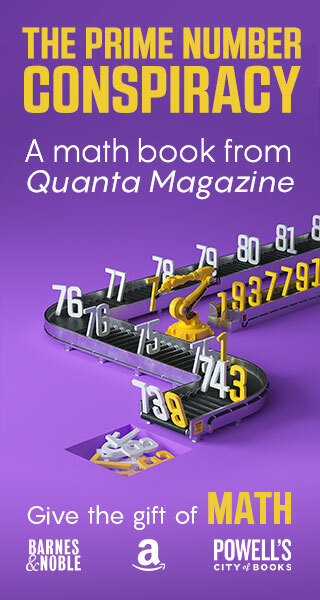 For example, among the 3,044 different triples you can make in which a and b are between 1 and 100, there are only seven in which the product of primes is smaller than c. The abc conjecture, which was first formulated in the 1980s, codifies the intuition that this kind of triple hardly ever happens. More specifically, coming back to the 5 + 27 = 32 example, 32 is larger than 30, but only by a little. It’s smaller than 302, or 301.5, or even 301.02, which is about 32.11. The abc conjecture says that if you pick any exponent bigger than 1, then there are only finitely many abc triples in which c is larger than the product of the prime factors raised to your chosen exponent. And the simplicity of the a + b = c equation means that a wide range of other problems fall under the conjecture’s sway. For instance, Fermat’s Last Theorem is about equations of the form xn + yn = zn, and Catalan’s Conjecture, which says that 8 and 9 are the only two consecutive perfect powers (since 8 = 23 and 9 = 32), is about the equation xm + 1 = yn. The abc conjecture (in certain forms) would offer new proofs of these two theorems and solve a host of related open problems. The conjecture “always seems to lie on the boundary of what is known and what is unknown,” Dorian Goldfeld of Columbia University has written. 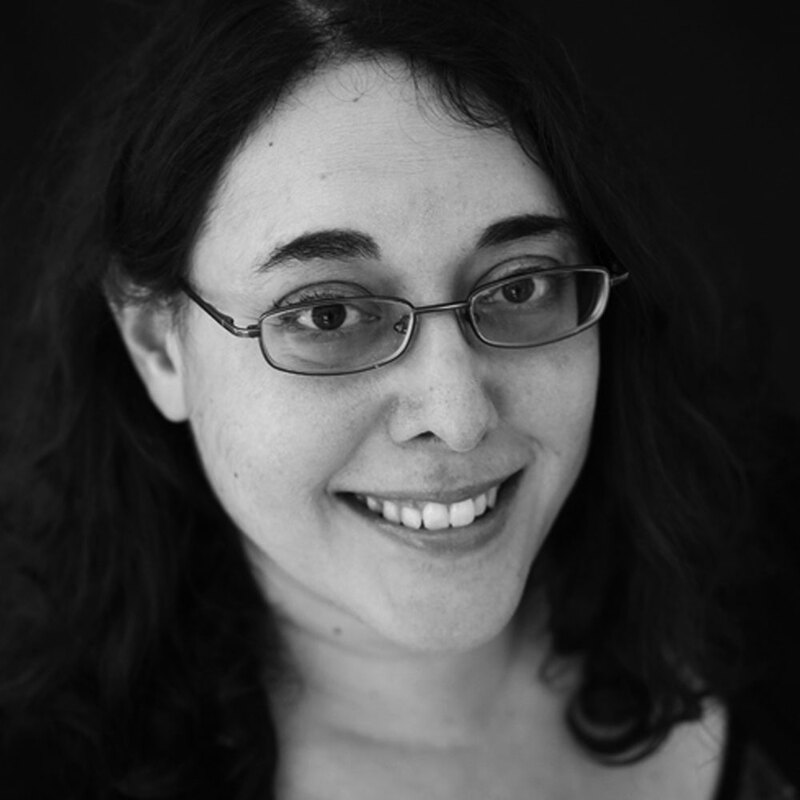 “Each time I hear of an analysis of Mochizuki’s papers by an expert (off the record) the report is disturbingly familiar: vast fields of trivialities followed by an enormous cliff of unjustified conclusions,” Calegari wrote in his December blog post. This corollary is the only theorem in the two middle papers whose proof is longer than a few lines — it fills nine pages. As Scholze read through them, he reached a point where he couldn’t follow the logic at all. Scholze, who was only 24 at the time, believed the proof was flawed. But he mostly stayed out of discussions about the papers, except when asked directly for his thoughts. After all, he thought, perhaps other mathematicians would find significant ideas in the paper that he had missed. Or, perhaps, they would eventually come to the same conclusion as he had. One way or the other, he thought, the mathematics community would surely be able to sort things out. Meanwhile, other mathematicians were grappling with the densely written papers. Many had high hopes for a meeting dedicated to Mochizuki’s work in late 2015 at the University of Oxford. But as several of Mochizuki’s close associates tried to describe the key ideas of the proof, a “cloud of fog” seemed to descend over the listeners, Conrad wrote in a report shortly after the meeting. “Those who understand the work need to be more successful at communicating to arithmetic geometers what makes it tick,” he wrote. Within days of Conrad’s post, he received unsolicited emails from three different mathematicians (one of them Scholze), all with the same story: They had been able to read and understand the papers until they hit a particular part. “For each of these people, the proof that had stumped them was for 3.12,” Conrad later wrote. Kim heard similar concerns about Corollary 3.12 from another mathematician, Teruhisa Koshikawa, currently at Kyoto University. And Stix, too, got perplexed in the same spot. Gradually, various number theorists became aware that this corollary was a sticking point, but it wasn’t clear whether the argument had a hole or Mochizuki simply needed to explain his reasoning better. Then in late 2017 a rumor spread, to the consternation of many number theorists, that Mochizuki’s papers had been accepted for publication. Mochizuki himself was the editor-in-chief of the journal in question, Publications of the Research Institute for Mathematical Sciences, an arrangement that Calegari called “poor optics” (though editors generally recuse themselves in such situations). But much more concerning to many number theorists was the fact that the papers were still, as far as they were concerned, unreadable. “No expert who claims to understand the arguments has succeeded in explaining them to any of the (very many) experts who remain mystified,” Matthew Emerton of the University of Chicago wrote. Calegari wrote a blog post decrying the situation as “a complete disaster,” to a chorus of amens from prominent number theorists. “We do now have the ridiculous situation where ABC is a theorem in Kyoto but a conjecture everywhere else,” Calegari wrote. Shigefumi Mori, Mochizuki’s colleague at Kyoto University and a winner of the Fields Medal, wrote to Scholze offering to facilitate a meeting between him and Mochizuki. Scholze in turn reached out to Stix, and in March the pair traveled to Kyoto to discuss the sticky proof with Mochizuki and Hoshi. The abc conjecture then boils down to proving a certain inequality between two quantities associated with the elliptic curve. Mochizuki’s work translates this inequality into yet another form, which, Stix said, can be thought of as comparing the volumes of two sets. Corollary 3.12 is where Mochizuki presents his proof of this new inequality, which, if true, would prove the abc conjecture. The proof, as Scholze and Stix describe it, involves viewing the volumes of the two sets as living inside two different copies of the real numbers, which are then represented as part of a circle of six different copies of the real numbers, together with mappings that explain how each copy relates to its neighbors along the circle. To keep track of how the volumes of sets relate to one another, it’s necessary to understand how volume measurements in one copy relate to measurements in the other copies, Stix said. “If you have an inequality of two things but the measuring stick is sort of shrunk by a factor which you don’t control, then you lose control over what the inequality actually means,” Stix said. It is at this crucial spot in the argument that things go wrong, Scholze and Stix believe. In Mochizuki’s mappings, the measuring sticks are locally compatible with one another. But when you go around the circle, Stix said, you end up with a measuring stick that looks different from if you had gone around the other way. 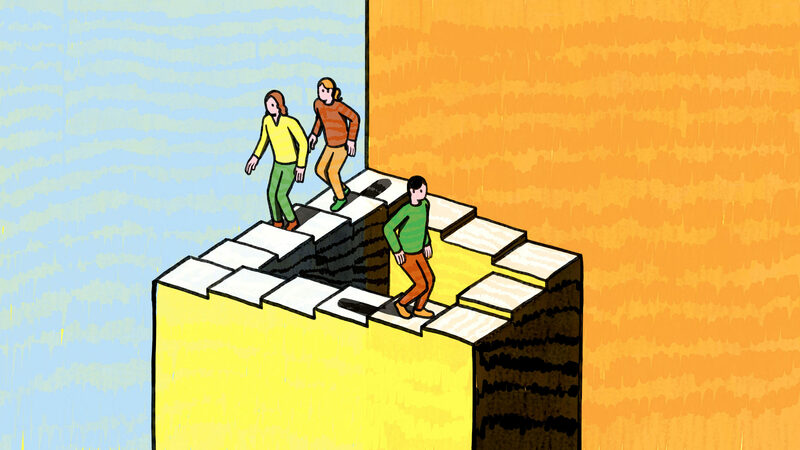 The situation, he said, is akin to Escher’s famous winding staircase, which climbs and climbs only to somehow end up below where it started. This incompatibility in the volume measurements means that the resulting inequality is between the wrong quantities, Scholze and Stix assert. And if you adjust things so the volume measurements are globally compatible, then the inequality becomes meaningless, they say. Scholze and Stix have “identified a way that the argument can’t possibly work,” said Kiran Kedlaya, a mathematician at the University of California, San Diego, who has studied Mochizuki’s papers in depth. “So if the argument is to be correct, it has to do something different, and something a lot more subtle” than what Scholze and Stix describe. Mathematicians will now have to absorb Scholze and Stix’s argument and Mochizuki’s response. But Scholze hopes that, in contrast with the situation for Mochizuki’s original series of papers, this should not be a protracted process, since the gist of his and Stix’s objection is not highly technical. Other number theorists “would have totally been able to follow the discussions that we had had this week with Mochizuki,” he said. Mathematicians who are already skeptical of Mochizuki’s abc proof may well consider Scholze and Stix’s report the end of the story, said Kim. Others will want to study the new reports for themselves, an activity that Kim himself has commenced. “I don’t think I can completely avoid the need to check more carefully for myself before making up my mind,” he wrote in an email. In the past couple of years, many number theorists have given up on trying to understand Mochizuki’s papers. But if Mochizuki or his followers can provide a thorough and coherent explanation for why Scholze and Stix’s picture is too simplistic (assuming that it is), “this might go a long way towards relieving some of the fatigue and maybe giving people more willingness to look into this thing again,” Kedlaya said.